The festival's mission is to connect St. Augustine to our city’s Spanish history through a series of special events that feature Spanish wine, cuisine and culture. The festival serves to raise money for local charities, provide memorable experiences for visitors, foster international economic development, and enrich the quality of life in our community. St. Augustine history encompasses many cultures and ethnicities, but our primary history involves Spanish exploration and colonization. When Pedro Menéndez and the first 800 European settlers landed on our shore nearly 454 years ago, his ships carried survival provisions. Among his most treasured stores was Spanish wine. Spain has cultivated wine grapes for more than 4,000 years. The Romans fell in love with Spanish wine and exported it throughout the Roman Empire. Spanish wine is the most popular wine in Europe and the fastest-growing segment of the American wine market. 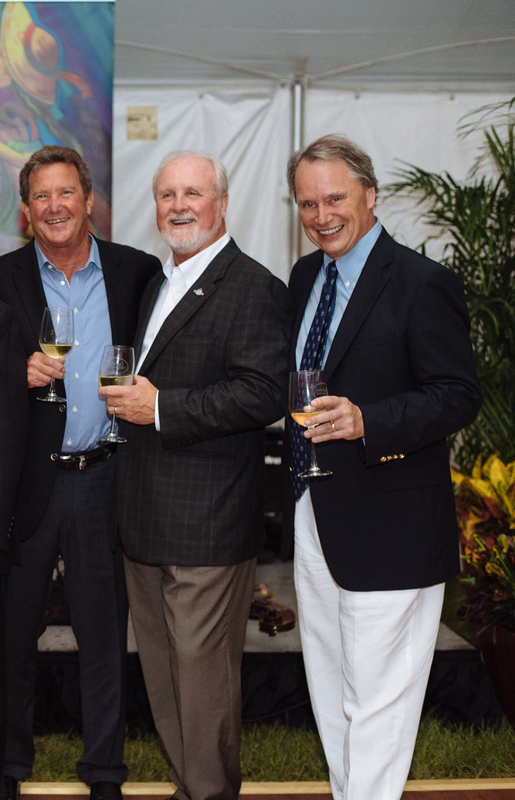 The St. Augustine Spanish Wine Festival is an opportunity to promote our city regionally, nationally and internationally, to help local charities and connect with our founders through products that are as relevant today as they were when the early Spanish explorers came to America. Spanish culture, music, food and wine defy space and time. The festival and all of its events are designed to promote St. Augustine as the Spanish Wine Capitol of America and to facilitate historical-destination tourism. St. Augustine as a youngster, has long been involved in local charity work and served on numerous boards within the community. Joe’s many years of service to the community, his passion for helping others and his lifelong connections to and friendships with local residents make him an ideal board member. Jim has been a resident of St. Johns County for more than 30 years and is one of the original members of the board. While Jim’s career revolved around logistics and the construction and lease of millions of square feet of warehouse space across the country, his love of food and wine made him a logical choice as a founding board member. Jim previously owned and operated two restaurants in St. Augustine and is a collector and connoisseur of fine wine. Since retirement, Jim has focused on philanthropy as well as educational and artistic endeavors. Harold, retired director of sales at Southern Glazer’s Wine & Spirits, also joined the board in 2015. Harold, who resides in Jacksonville and is now an advisor to the festival, has been a supporter of the festival and its charities since 2012. Harold has relationships with dozens of Spanish wine suppliers and has been instrumental in bringing Spanish nationals to the festival. In addition to his professional contributions, he has worked long hours behind the scenes ensuring the development of the festival.